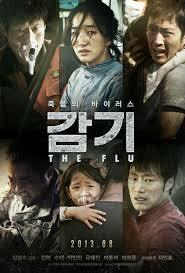 The worst epidemic ever seen is sweeping through Bundang, the suburb of Seoul. After smuggling illegal immigrants into the country, Byung-woo dies from an unknown virus. Soon after that, the same symptoms are plaguing scores of residents in Bundang. People are helpless against the airborne disease and the number of infected increases quickly, spreading chaos. As the worst-case scenario precaution, the city of half a million people, just 19 kilometers from Seoul, is about to be sealed off. The government orders a complete shutdown. Meanwhile, infectious disease specialist In-hye and rescue worker Ji-goo go into the closed city to find the blood serum of the index case, a crucial part of developing the vaccine.